7 Flex Wing Dual Monitor Arm saves valuable desk space by mounting two monitors to a single monitor arm. With the 7 Flex Wing you can position two monitors on an adjustable wing-bracket, either side-by-side, or one above the other. 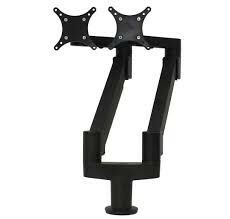 Suspend two monitors in a singles monitor arm with the use of the 7 Flex Wing bracket. 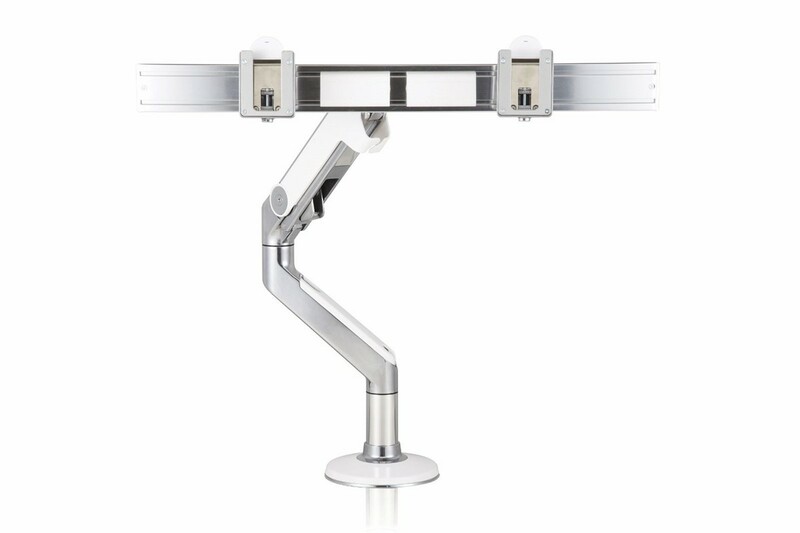 The wing-bracket allows individual adjustment of the monitors, and also allows rotation. Monitors can pivot independently for landscape or portrait viewing all while incorporating cable management, to keep your workspace clean and organized. A quick install / quick release mechanism instantly and securely snaps the monitors into position.